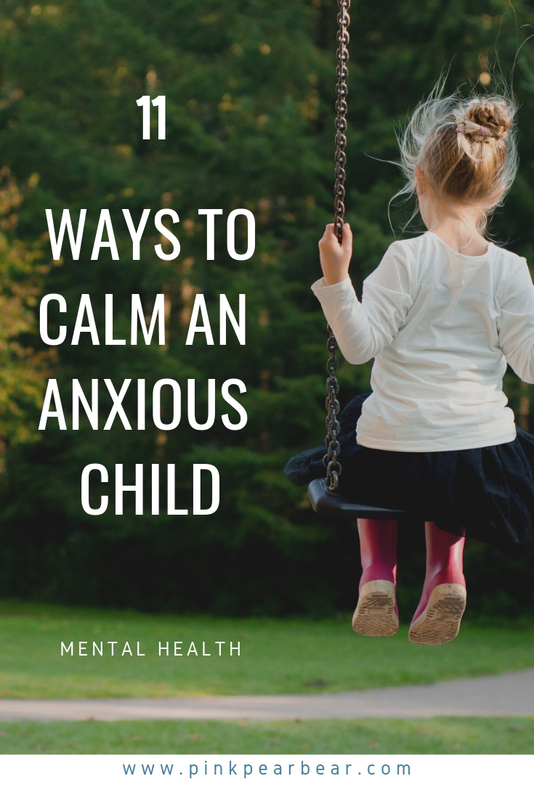 Ways to calm an anxious child. Watching your child battling with anxiety is awful and you can feel so helpless. Having suffered from anxiety myself and having an 8 year old daughter with anxiety means that we have come up with a few coping strategies over the years and people are always asking me for tips so I thought I’d share the techniques we use. 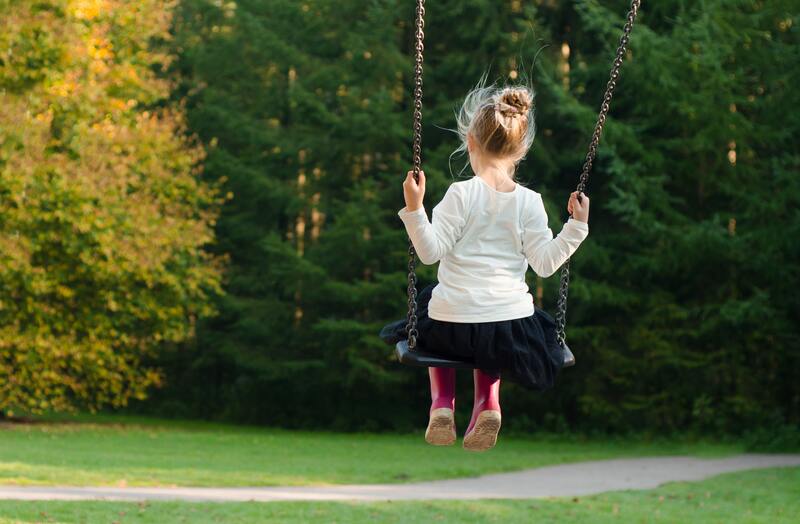 Often an anxious child won’t be able to vocalise what is worrying them as the anxiety has taken hold and taken over their thought process with negative thinking, here are some ways to break the spiral so you can move past the panic and be able to talk to them about the underlying fear. Often it can be something very unexpected that you had no idea someone could worry about! A comfort item: Having a special blanket or teddy or even a key ring that your child loves and can take with them as a connection to home on an anxious day can really help. Distraction: Getting them to count something can help break the thought cycle for an anxious child, it can be sheep in the field or flowers in a magazine. Anything that gets them to focus on something other then the anxiety. Then when they have finished, if they start to divert back to the anxious thought process, you can say something like; ‘that was great, how many of the flowers were red?’ and get them to focus back on counting. I often find that she is calm after and then we can talk about what was bothering her. Breathing techniques: We use these a lot. A favourite is ‘Hot Chocolate Breathing’ where you hold a pretend mug of hot chocolate in front of you. You smell it, (breathe in through your nose for a count of 3) savour the smell, (hold for a count of 3) and then blow on it to cool it (blow out through your mouth for 3 or as long as you can) you can also pretend to blow out the candles on a birthday cake, whatever imagery works best for your child, just make sure it’s in through the nose and out through the mouth with a hold in the middle. Rapid Fire Questions: Sometimes to get to the bottom of the underlying worry quickly, I will say things to her that have been a worry in the past in quick succession and she will stop me when I get to the one. Eg : school, friends, party, weekend etc. Sometimes it’s enough of a distraction for her to be able to realise what it is and she interrupts with; ‘no it’s …..’ and we get to the bottom of it that way. Then we talk through whatever is bothering her. Colouring: Mindful colouring books are good but even just drawing a pattern on a piece of paper or printing off a drawing sheet can work. The repetitive act of colouring small areas can really help as you are concentrating on something else and it’s very calming. Mindfulness: There are lots of apps that give you breathing techniques to do and talk you though a guided meditation. We also found guided meditation stories for children on youtube that really helped without them really realising what was happening. Click here to find the ones we have used before, they have really worked for us and I sometimes set both kids up to listen to one. Exercise: Getting rid of all the anxious energy can be very hard. I will often set challenges of bunny hopping from one room to the other, drawing hopscotch on the drive with chalk, asking her to do 10 star jumps on the trampoline or just going out on scooters or bikes to burn some off. Once the adrenaline from the fight or flight response has been used up, it’s much easier to talk. If your child is older, go out for a run together. It’s great if you also suffer from anxiety. Music: Classical music can be very calming, or if there is anxious energy to burn off, dancing is brilliant. Kitchen discos have saved many an evening! Writing: Ask them to write down what’s upsetting them, or draw it if that’s easier. Then you can either write back or talk to them if they are able to. A worry box or monster that they feed with little notes is also a great idea. You can then read the notes and see what’s going on. A firm cuddle: Sometimes full blown panic takes hold and none of the above works. In this case, we will usually hold her tightly in a cuddle, stroking her hair and repeating reassurances that she is ok, she’s safe and reminding her to breathe. Once she is calmer, we’ll do breathing techniques like the ones above. A hot water bottle: An anxious child will often complain of a stomach ache. A hot water bottle or something warm like a microwavable teddy to hold can feel very comforting and ease the cramping sensation of tummy pains. If you are in a position to need these techniques you have my empathy, I know exactly what it’s like and I feel for you. If I can give you any hope, we have been employing these techniques for some years now and my daughter’s anxiety is so much better, she is learning how to self manage and knows when to use the techniques herself and has learnt to recognise the signs before spiralling so often comes to me and says that she is feeling worried, can we talk. Huge progress! As always, my inbox is open, louise@pinkpearbear.com or you can message me on Twitter, Instagram or Facebook I’m not an expert by any means but I do have a lot of hands on experience and I know how isolating it can be so can offer a sympathetic ear.